Thank you for your interest in Overton Square! The Square is currently 100% leased. Click here to be notified of future vacancies. 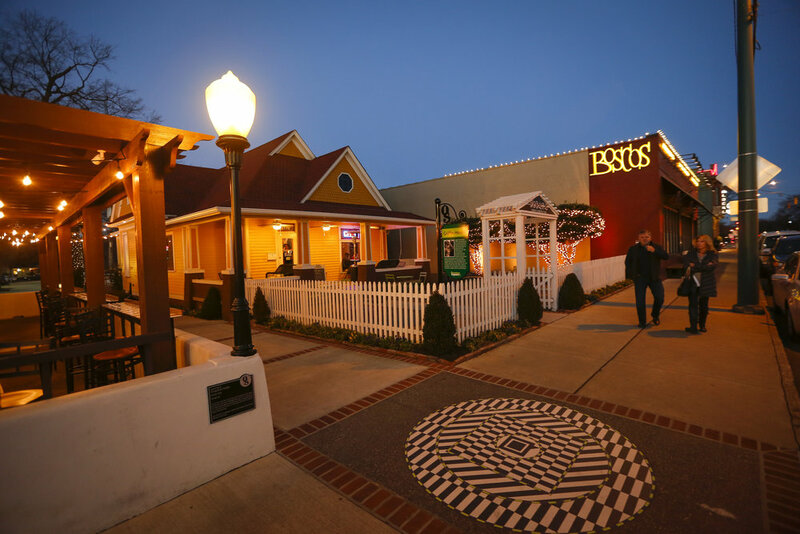 Loeb Properties has restored and reinvented the historic buildings of Overton Square, transforming the district into a one-of-a-kind collection of cool entertainment, unique retail, and fantastic food, all in the heart of Memphis. Live music and events, sculptures, murals, and unexpected art are featured throughout, dispersed among a diverse collection of shops, fitness users, and restaurants. At the center of it all is a courtyard—a public gathering place, music venue, and outdoor patio. Intersected by historic Madison Ave. and its new bike lanes, Overton Square is the perfect destination for a family bike ride, a lunch break, or a night out. Overton Square is a uniquely Memphis destination that brings together people of all ages to shop, work, eat, or be entertained in a relaxed yet sophisticated environment, all served with authentic Memphis soul. We’re searching for creative businesses to help fulfill this vision; we invite you to be a part of the renaissance happening here and in Midtown Memphis. With various types of spaces available for lease, new tenants will be able to customize spaces to fit their needs. Act now and write your page in the next chapter of Overton Square.